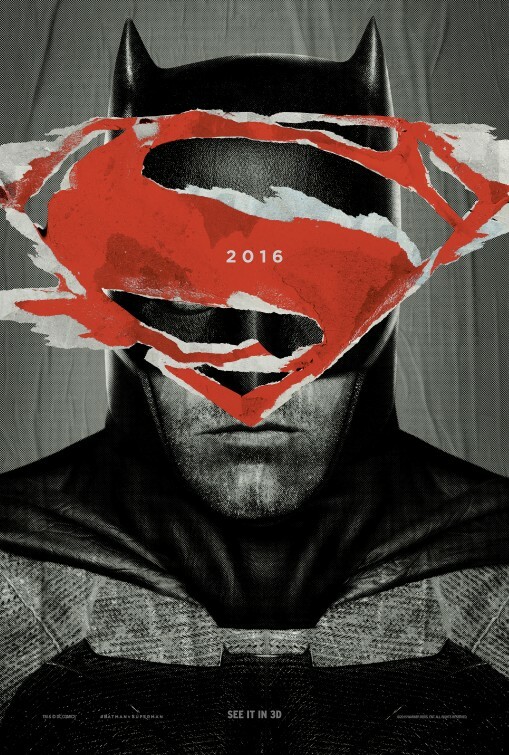 This year's San Diego Comic-Con may have provided a glimpse of the future of the Justice League movie franchise, but Batman v Superman: Dawn of Justice was the film that laid the foundation for the birth of DC Comics premiere super-team on the big screen. 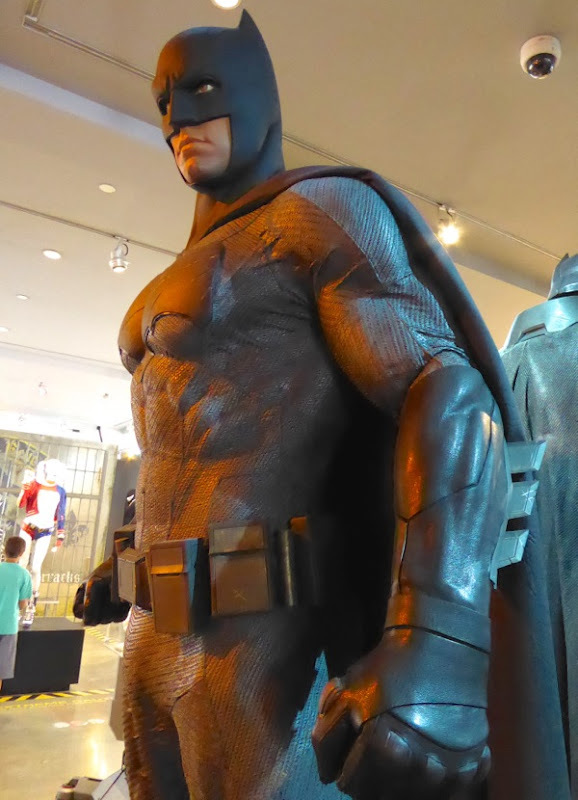 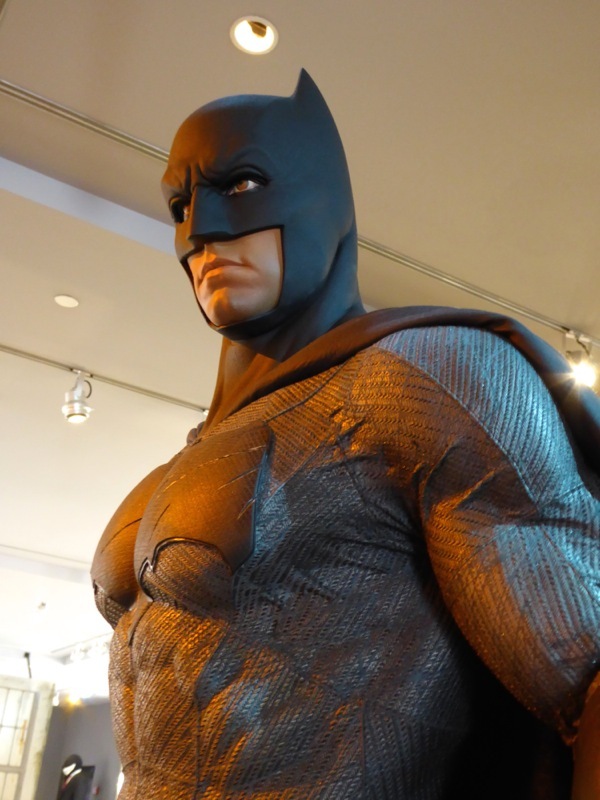 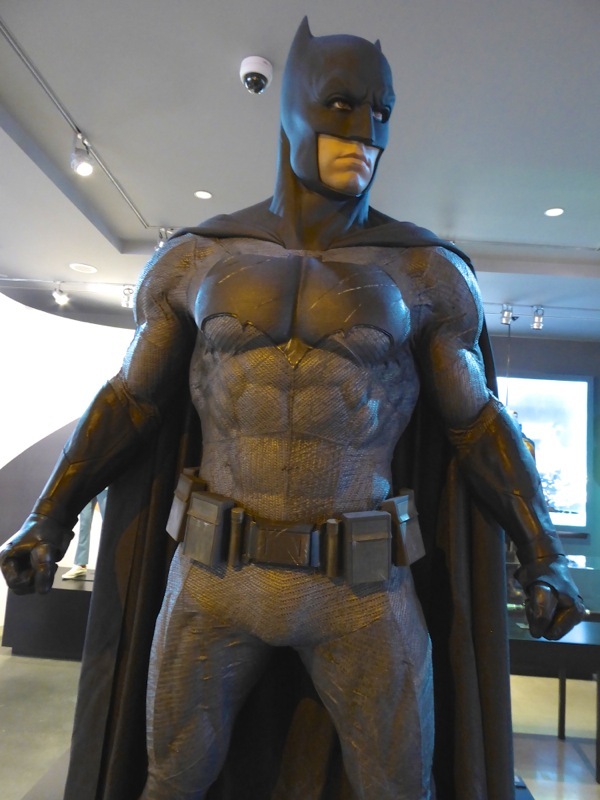 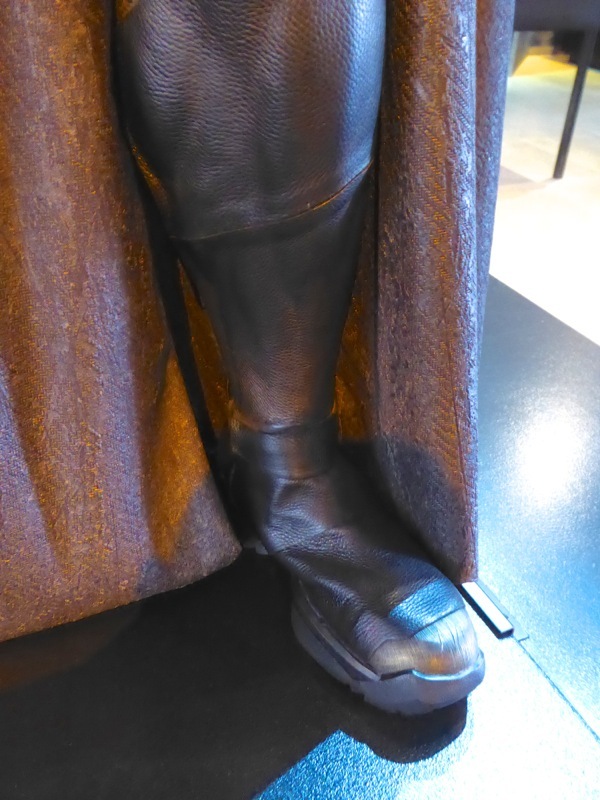 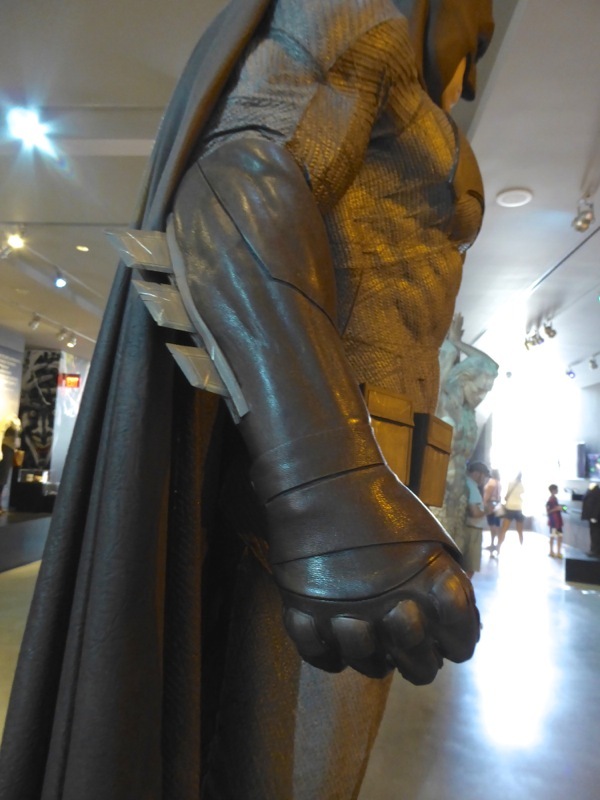 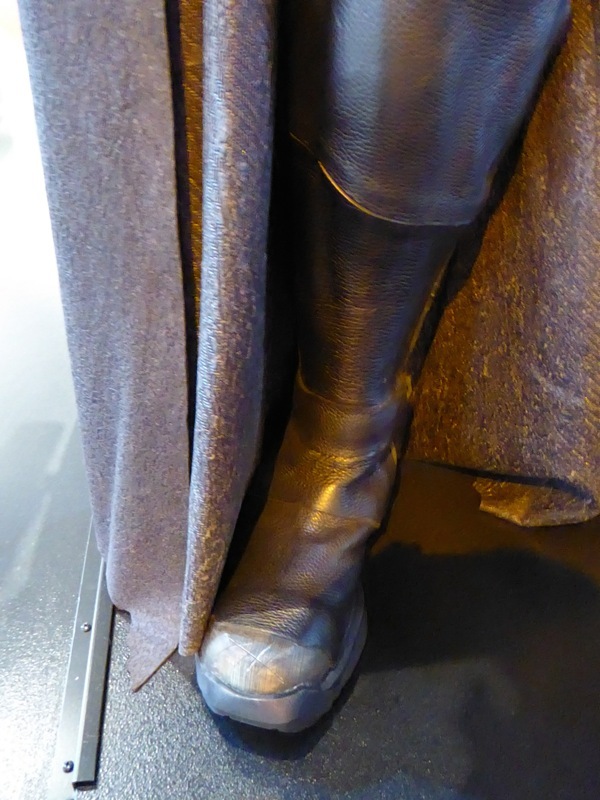 Here's a closer look the grey and black 'Batman' costume worn by Ben Affleck in Zack Snyder's movie on display on Warner Bros. Studios Hollywood Backlot Tour on June 9, 2016. 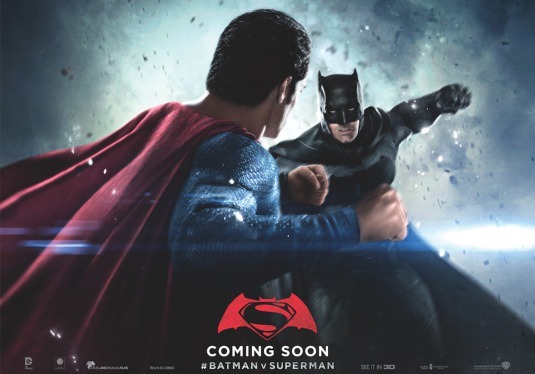 Some would argue that this cinematic clash of superhero icons was a clunky and joyless affair, but surprisingly one thing I did enjoy about the movie was Ben Affleck's portrayal of 'Bruce Wayne' and his bat-themed Caped Crusader alter-ego. 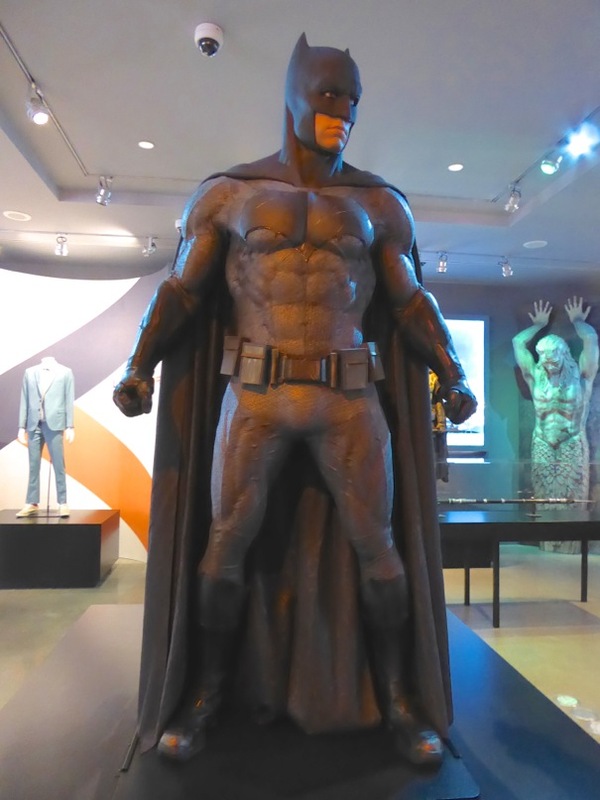 I especially liked Michael Wilkinson's pared down grey and black Batsuit which evoked the classic tights version, although this reimagining had a bulky and gritty feel to it. 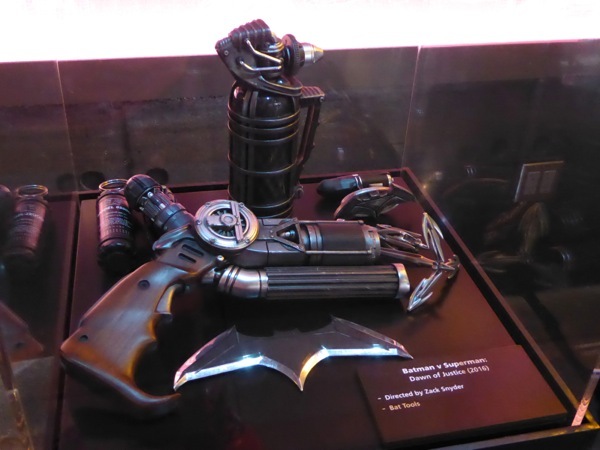 You believed it could stop bullets and blades. 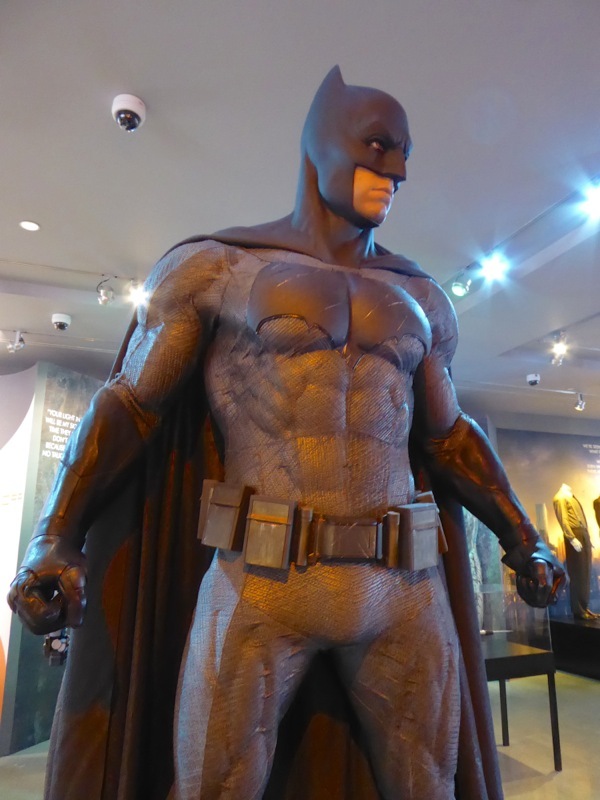 If you're a Bat-Fan, be sure to compare this look to previous Batman movie costumes, from Michael Keaton to Val Kilmer, George Clooney to Christian Bale. 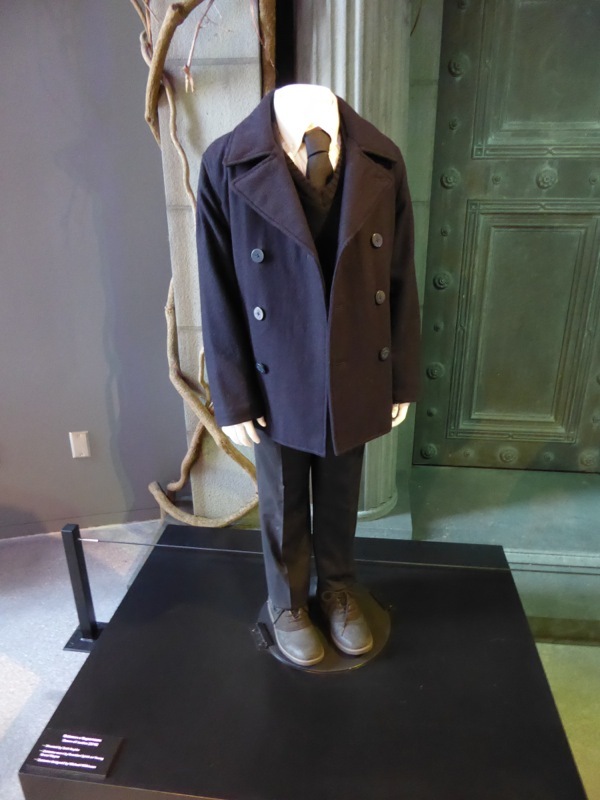 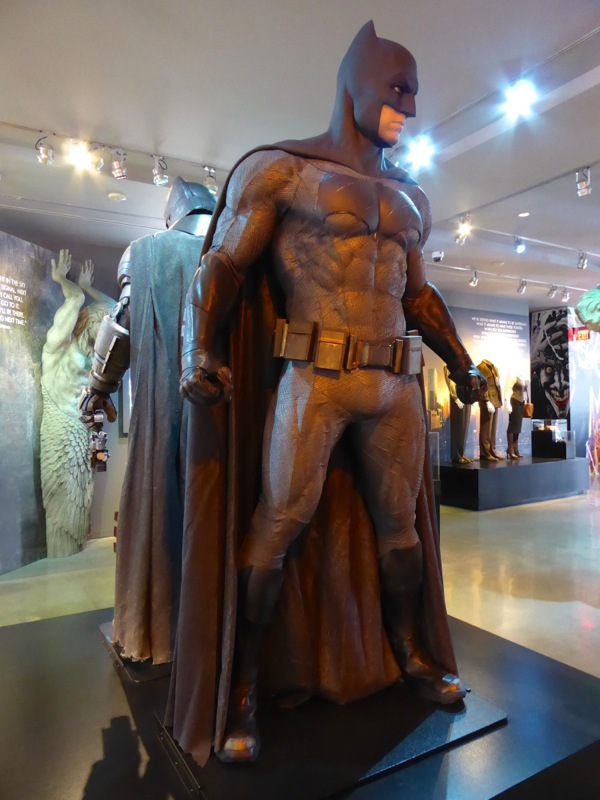 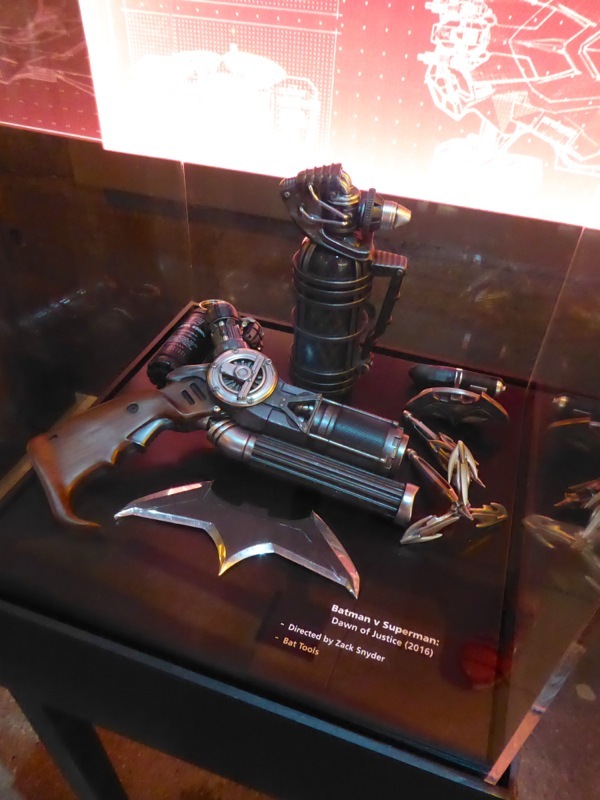 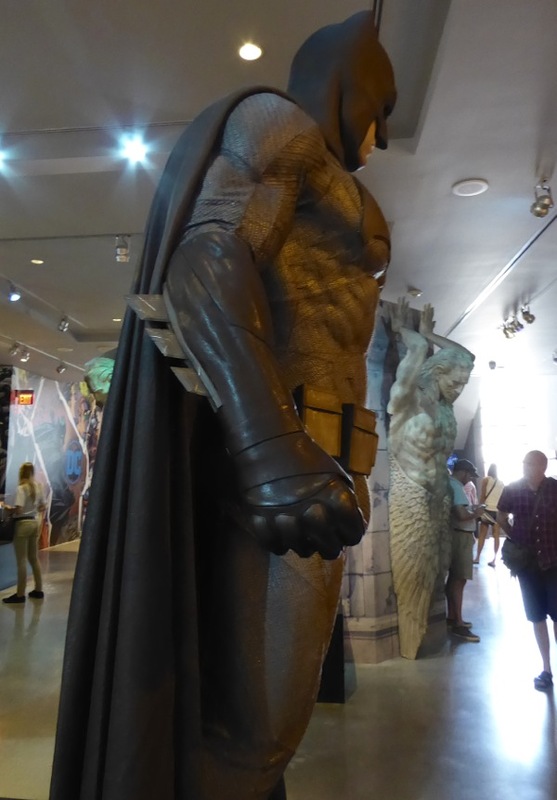 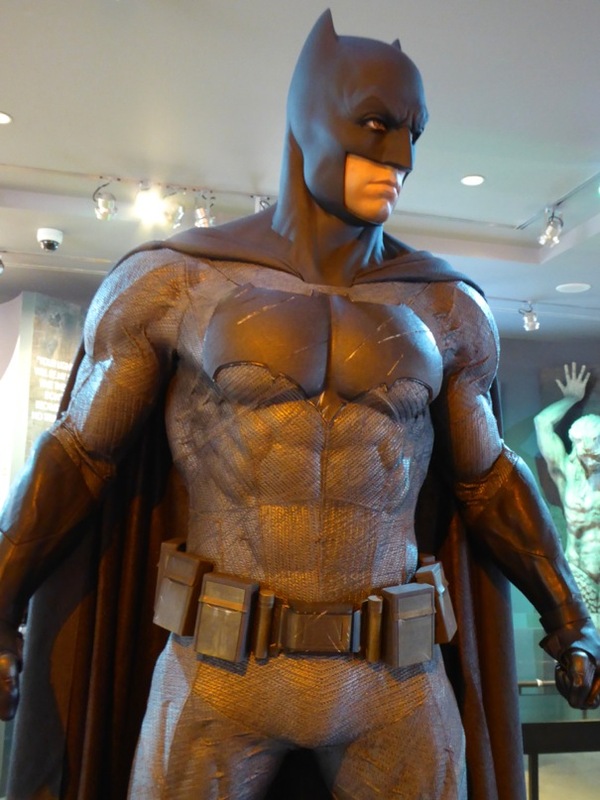 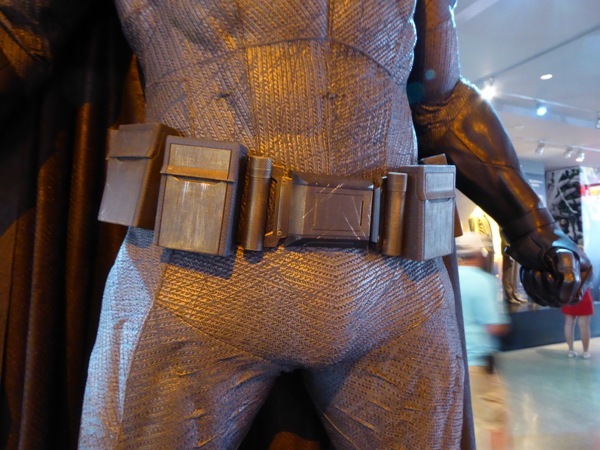 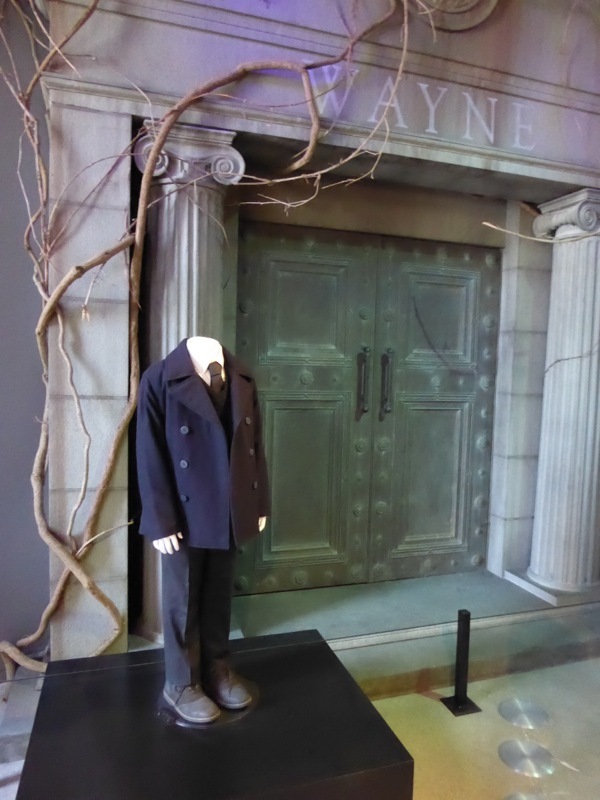 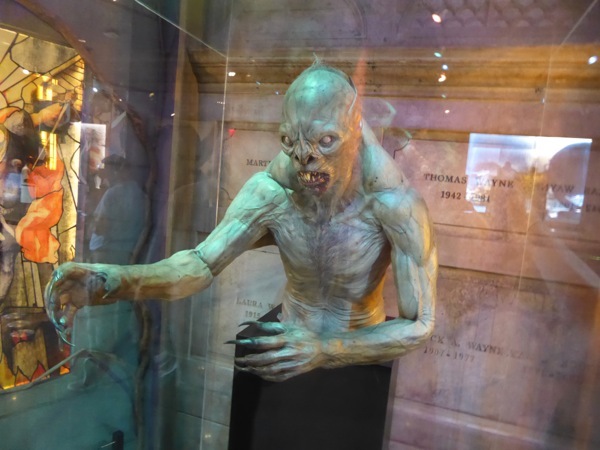 Also on display within the exhibit was the funeral outfit worn by Young Bruce Wayne, plus the crypt and vampire bat creature from grown up Batman's nightmare, along with an assortment of Bat tools like grenades, batarangs and grapple gun. 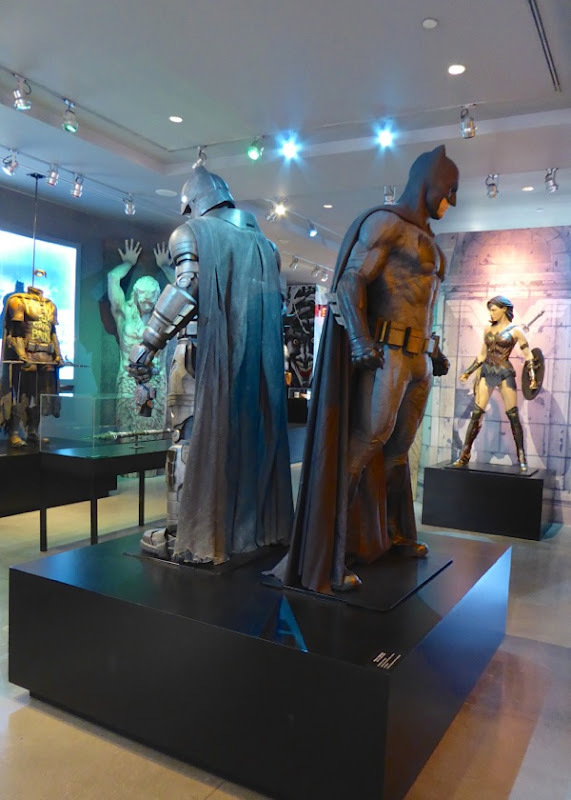 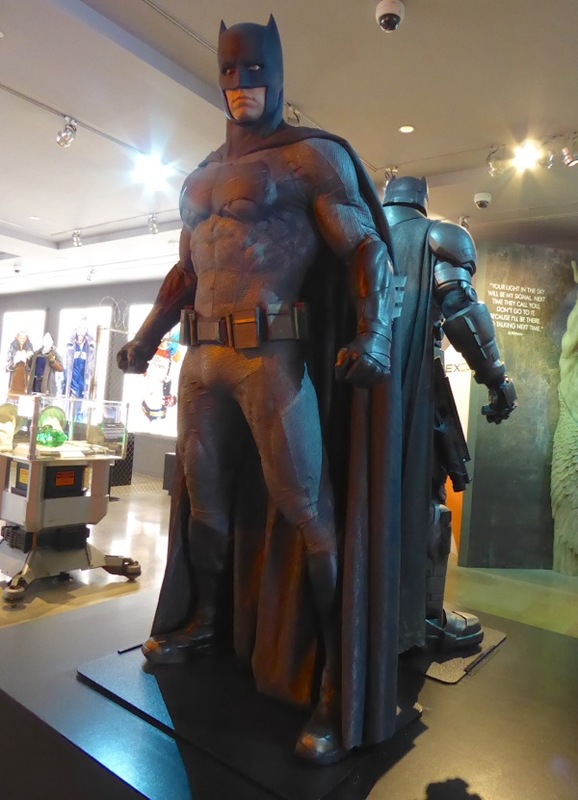 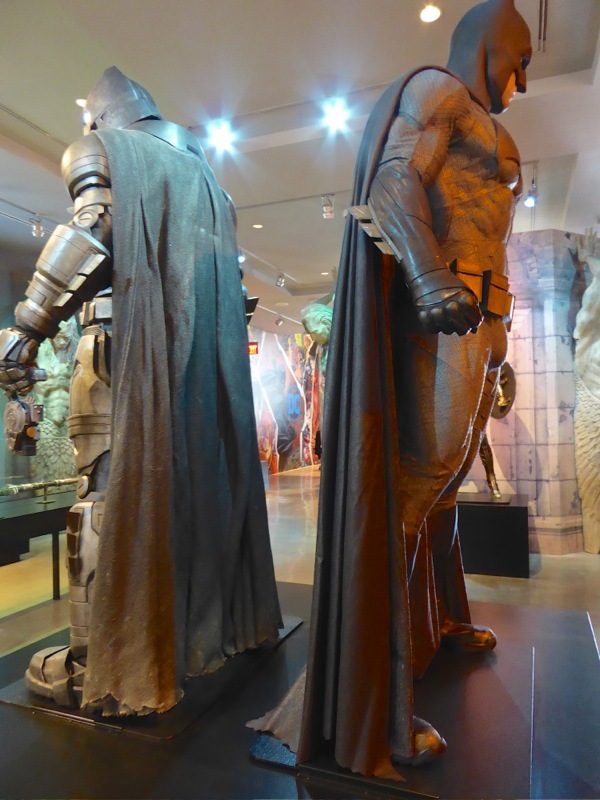 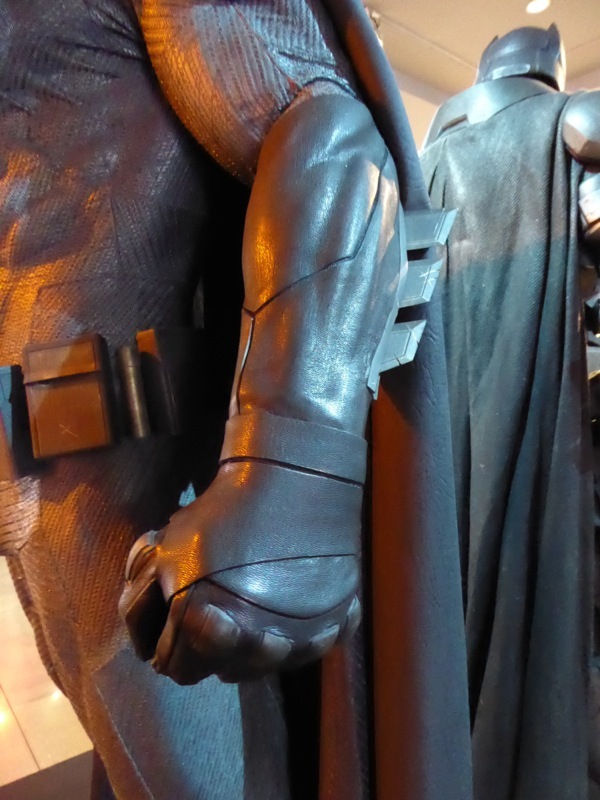 Be sure to stay tuned for a closer look at the armoured Batsuit and the post-apocalyptic future 'Knightmare' costume worn by the Dark Knight in the movie too.